Upset about the Heartland Power Line? | R.E.T.A. 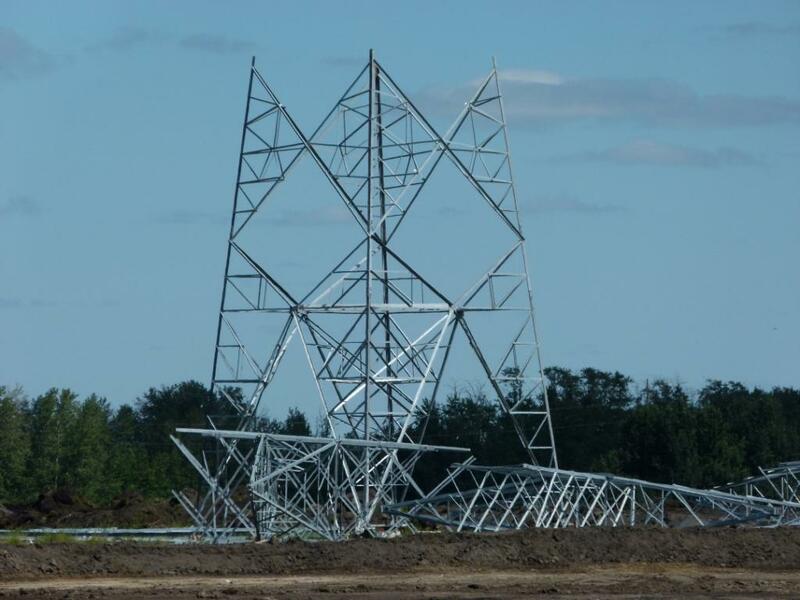 Since we recently posted a few pictures of some partially erected Heartland power line lattice towers, many of you have contacted us indicating you are upset and asking what can be done at this stage to stop this massive line from being built above ground. Although every attempt so far has failed to either ensure the line is not built (because it is not needed), or to get it buried close to homes, schools, daycares and environmentally sensitive areas, several options remain. 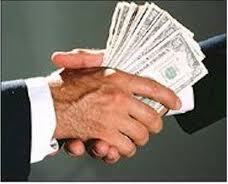 There are 2 pending court appeals – one to the Alberta Court of Appeal and one to Special Chambers. The Court of Appeal case by the Shaw family in Sturgeon County will be heard next month and the Special Chambers Judicial Review by RETA will be heard the end of November. If both of these court actions fail, and the Heartland line is completed and energized, individual or class action lawsuits are always possible. 1. Passed Bill 19, the Land Assembly Project Area Act, in April 2009, which gives Cabinet the unilateral authority to designate private lands as a high voltage power line corridor and sterilize the lands for other uses. 2. Passed Bill 50, the Electric Statutes Amendment Act, 2009, in November 2009, which took away the public’s right to review the need for all these new 500 kilovolt power lines. 3. Included the approximate route for the Heartland line in Bill 50, which would see it built in the Edmonton and Sherwood Park greenbelts (i.e., the Heartland public consultation process and AUC Heartland hearing were a waste of time). 4. Refused to review the need for the Heartland line, as they did for the Western Alberta Transmission Line and Eastern Alberta Transmission Line. In fact, Premier Redford overturned her Energy Minister’s and the AUC’s decision to review the Heartland line last October, and thereby interfered politically with the Heartland hearing process. 5. Unilaterally changed the purpose of the Edmonton and Sherwood Park greenbelts from protecting agriculture and the natural environment (pursuant to the original 1970’s legislation) to Transportation Utility Corridors (TUCs) without any public consultation. This is where the Heartland line is being built. 6. Exempted all high voltage power lines from environmental impact assessments in April 2008. This means that the Heartland line will negatively affect environmentally sensitive areas, including many wetlands, where thousands of birds will be killed by the overhead lines and towers. 8. Together with the Alberta Electric System Operator (AESO), issued a very unrealistically high electricity demand forecast in 2008 which is now seriously outdated. For example, the Heartland line was supposed to transmit coal-fired electricity to 9-11 tar sands upgraders in the Industrial Heartland – only one is being considered today because tar sands operators don’t find it sufficiently profitable to upgrade in Alberta. The P.C. MLAs whose constituencies include the Heartland line are: Naresh Bhardwaj, Hon. Jeff Johnson, Cathy Olesen, Dave Quest, Peter Sandhu, and Hon. Gene Zwozdesky. If your MLA is Deron Bilous (NDP), certainly contact him, but you should be aware that the Alberta NDP, like so many others, does not support the overhead Heartland line. 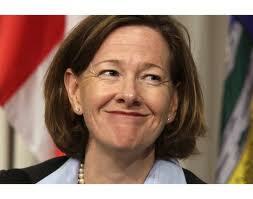 You may also wish to contact Premier Alison Redford and Hon. Ken Hughes, Minister of Energy, both of whom have leading responsibilities for the Heartland line. Email and street addresses and phone numbers for MLAs, Premier Redford and Minister Hughes can be found here. ~ by RETA on August 19, 2012.